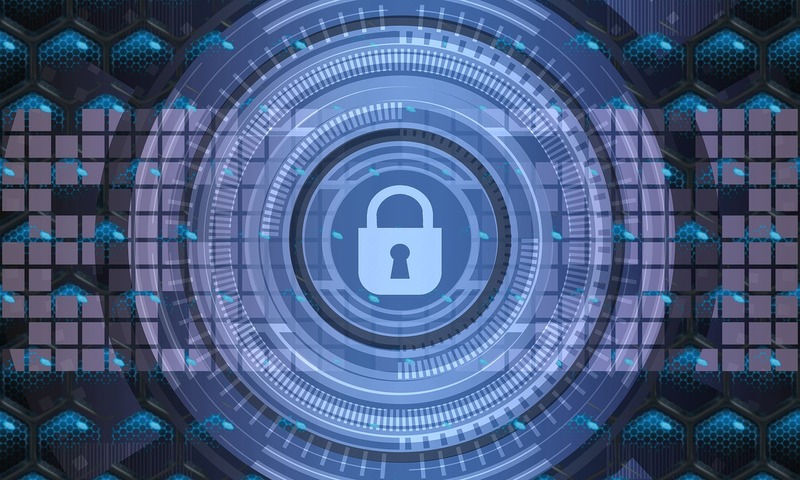 This article explains the issues that occur in case of infection with .GMPF files virus and provides a complete guide on how to remove malicious files and how to potentially recover files encrypted by this ransomware. .GMPF files virus corrupts valuable data stored on the devices it compromises in order to generate revenue for its owners. As identified by the security researcher Michael Gillespie, this crypto virus belongs to the Matrix ransomware family which was first spotted back in December 2016. An infection with this threat leads to restricted access to important files and heavy system modifications. Encrypted files are renamed with a long sequence of extensions that ends with .GMPF. At this point, the amount of demanded ransom is not stated. Short Description A crypto virus that utilizes combination of sporhisticated cipher algorithms to encode valuable files stored on the infected computera and demands a ransom payment. Symptoms Important files recieve a sequence of extnsions that starts with hackers’ contact email and ends with the specific .GMPF. The information stored by corrupted files remain inaccessible until an efficient recovery tool reverts their original code. User Experience Join Our Forum to Discuss .GMPF Files Virus. Several common methods could be employed for .GMPF files virus distribution. One of them is the widely used malspam. 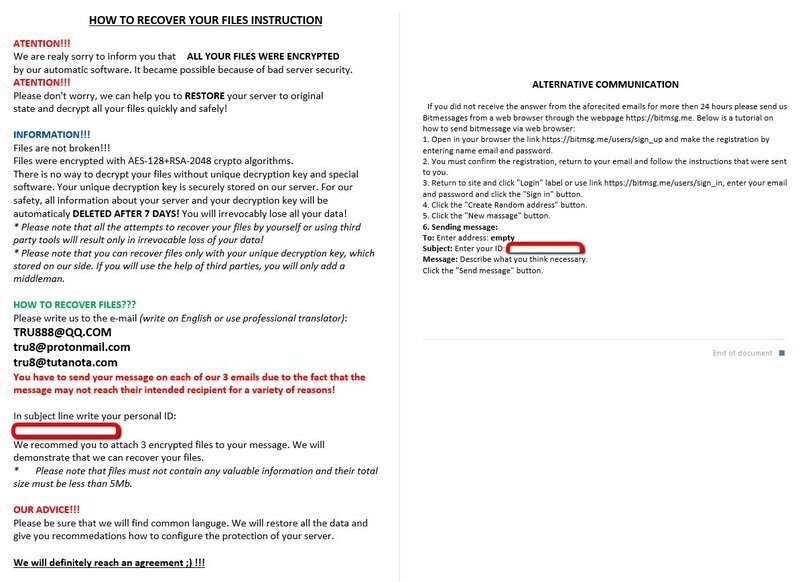 Hackers use various deceptive email elements to trick users into downloading the ransomware payload. Among the most common ones are spoofed email sender as well as email address, a misleading text message that provokes sense of urgency, file attachment of familiar types such as ZIP or RAR, and URLs that land on corrupted web pages set to cause drive-by download attack. Facebook virus could be spreading this .GMPF Matrix strain as well. Update November 2017! 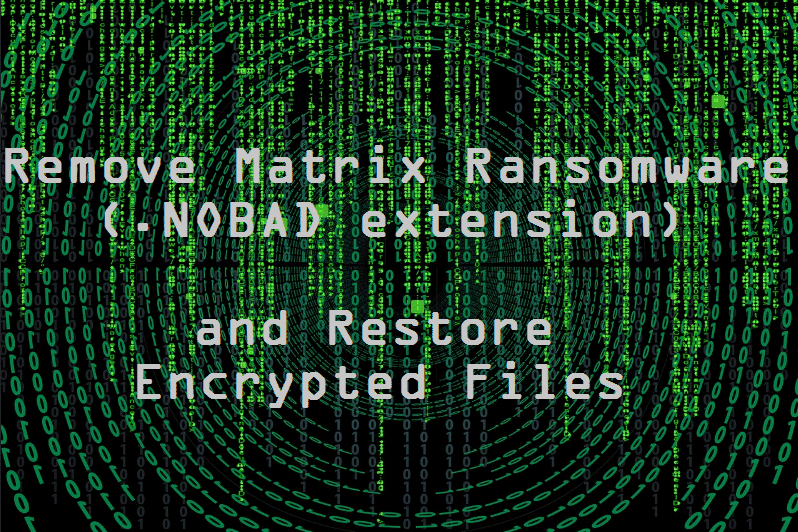 Remove Matrix ransomware fully. Follow the Matrix ransomware removal instructions given at the bottom of the article. Find out how to remove .THDA files virus (Matrix ransomware) in full from infected system. 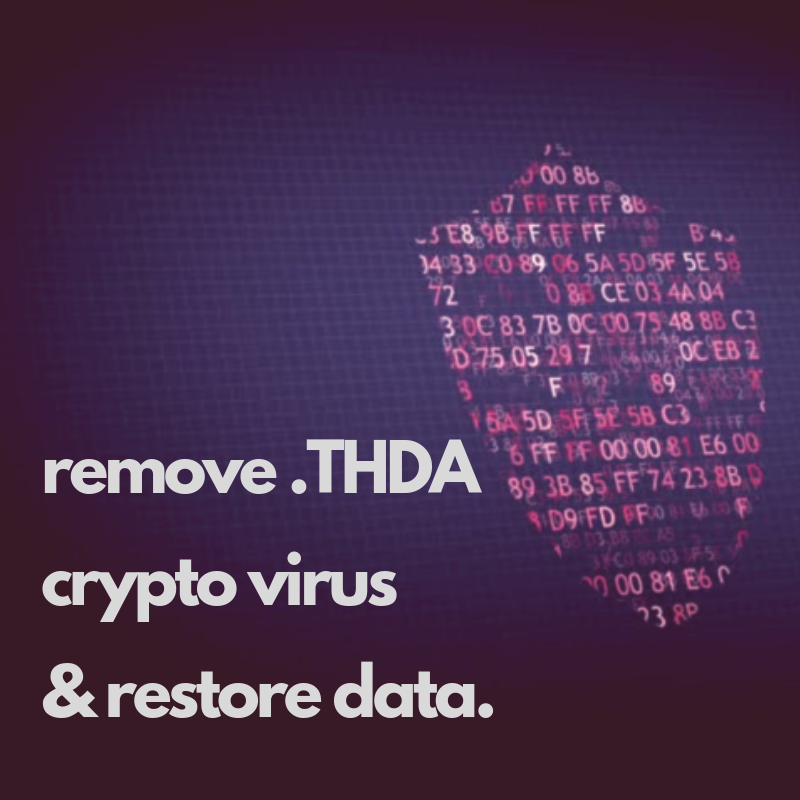 Restore .THDA files by using alternative data recovery approaches. Remove NOBAD ransomware fully. NOBAD is a cryptovirus. 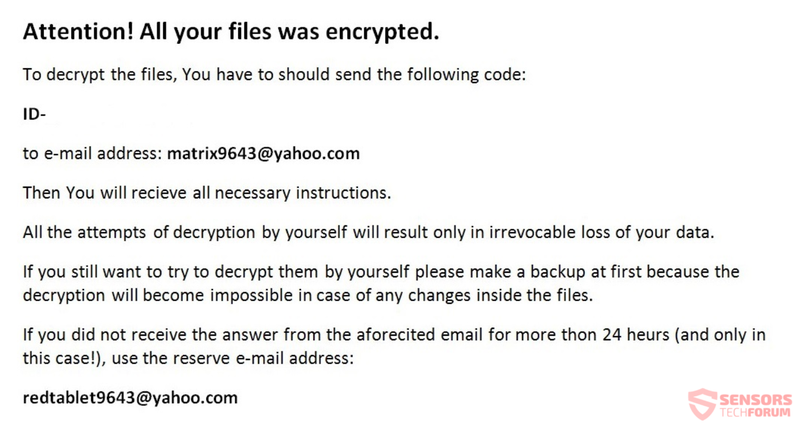 Follow the NOBAD ransomware removal instructions provided at the end of the article. Like previous versions .GMPF files virus aims to reach data encryption stage when it can utilize a built-in encryption module and corrupts all your important files. This is possible only after the ransomware plagues some essential system settings, processes and components. To do this the payload file of .GMPF crypto virus may be configured to connect to its command and control server where some additional infection files could be downloaded from. After it establishes all needed malicious files on the system, .GMPF starts to execute them in a predefined order that leads the attack to its end. Harmful files could affect some legitimate system processes whose functionalities serve for the utilization of some harmful changes. Once the ransomware implements its changes on system settings it could continue with the next stage of the attack which is data corruption. Have in mind that as long as .GMPF is running on your system you cannot use the infected PC in a normal way. Only by deleting all malicious files and objects you could use it in a secure manner again. Yet another event that occurs during the infection process is the display of an associated ransom note that informs you about the presence of .GMPF, its impact and its owners’ demands. As in the common case, hackers are likely to demand a ransom in Bitcoins for file decryption. However, they could skip sending you a working decryption solution even after a ransom payment. That’s why we advise you to avoid their instructions and try to fix your system and data with the help of alternative and secure approaches. 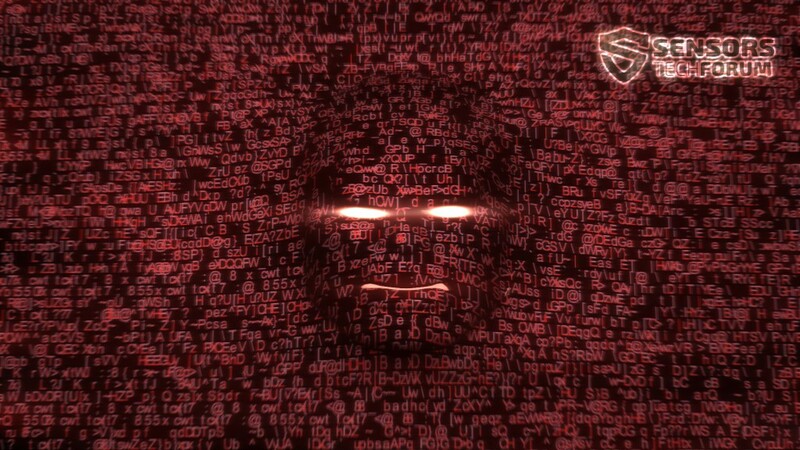 This strain of Martix ransomware is believed to use a combination of two sophisticated cipher algorithms – AES-128 + RSA-2048 to corrupt target files. So during the encryption process, the ransomware changes the original code of predefined types of files with the help of these two algorithms in order to make them completely inaccessible. The unique decryption key which is generated during the encryption process is soon transferred to hackers’ controlled server so that you cannot access it without contacting them. Below you could find how a step-by-step removal guide that may be helpful in attempting to remove this .GMPF files virus. The manual removal approach demands practice in recognizing traits of malware files. Beware that ransomware is a threat with highly complex code that plagues not only your files but your whole system. So it should be secured properly before it could be used regularly again. If you want to understand how to fix .GMPF files without paying the ransom make sure to read carefully all the details mentioned in the step “Restore files” from the guide below. Beware that before recovery process you should back up all encrypted files to an external drive in order to prevent their irreversible loss. Threats such as .GMPF Files Virus may be persistent. They tend to re-appear if not fully deleted. A malware removal tool like Combo Cleaner will help you to remove malicious programs, saving you the time and the struggle of tracking down numerous malicious files. Threats such as .GMPF Files Virus may be persistent on your system. They tend to re-appear if not fully deleted. A malware removal tool like SpyHunter will help you to remove malicious programs, saving you the time and the struggle of tracking down numerous malicious files. Note! Your computer system may be affected by .GMPF Files Virus and other threats. SpyHunter is a powerful malware removal tool designed to help users with in-depth system security analysis, detection and removal of threats such as .GMPF Files Virus. 1. Install SpyHunter to scan for .GMPF Files Virus and remove them. 2. Scan with SpyHunter, Detect and Remove .GMPF Files Virus. Ransomware infections and .GMPF Files Virus aim to encrypt your files using an encryption algorithm which may be very difficult to decrypt. This is why we have suggested several alternative methods that may help you go around direct decryption and try to restore your files. Bear in mind that these methods may not be 100% effective but may also help you a little or a lot in different situations. Note! Your computer system may be affected by .GMPF Files Virus or other threats. Remove .GMPF Files Virus by cleaning your Browser and Registry. Fix registry entries created by .GMPF Files Virus on your PC. Combo Cleaner is a powerful malware removal tool designed to help users with in-depth system security analysis, detection and removal of threats such as .GMPF Files Virus. Step 5: In the Applications menu, look for any suspicious app or an app with a name, similar or identical to .GMPF Files Virus. If you find it, right-click on the app and select “Move to Trash”. Step 6: Select Accounts, after which click on the Login Items preference. Your Mac will then show you a list of items that start automatically when you log in. Look for any suspicious apps identical or similar to .GMPF Files Virus. Check the app you want to stop from running automatically and then select on the Minus (“–“) icon to hide it. Remove .GMPF Files Virus – related extensions from your Mac’s browsers. A pop-up window will appear asking for confirmation to uninstall the extension. Select ‘Uninstall’ again, and the .GMPF Files Virus will be removed. When you are facing problems on your Mac as a result of unwanted scripts and programs such as .GMPF Files Virus, the recommended way of eliminating the threat is by using an anti-malware program. Combo Cleaner offers advanced security features along with other modules that will improve your Mac’s security and protect it in the future. Unfortunately, at this point, there is no remedy for that ransomware family (Matrix). 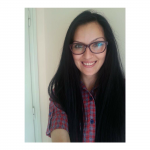 What we could advise you, however, is to transfer all your encrypted files to an external drive and keep them safe as malware researchers could make a decryption tool at some point. Meanwhile, have you tried any of the methods listed in step “4. Try to Restore files encrypted by .GMPF files virus” ? Hey !, I found this information for you: ".GMPF Files Virus – How to Remove It". Here is the website link: https://sensorstechforum.com/gmpf-virus-ransomware-remove/. Thank you.